The world of sounds is a world that is within us. But only a few of us, such as Jonas Burgwinkel, set out to discover it. It may sound unsavoury to compare music to the seasons of the year. 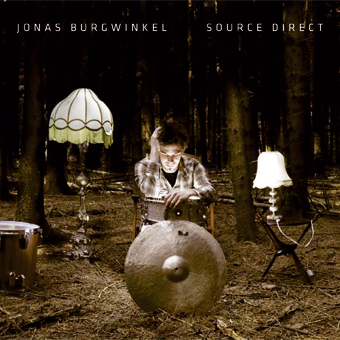 On the other hand, it is neither presumptuous nor distasteful to describe the debut CD of the Cologne drummer, Jonas Burgwinkel, as spring music. Jazz often sounds so detached, but on this recording one gets the feeling that at each moment something is in the process of evolving, growing, blooming. Something that extends far beyond what we are actually listening to at the moment. Jonas Burgwinkel is a relaxed story-teller, who takes all the time he needs for his stories, so as not to race to the next punch line with a volatile plot. Burgwinkel is not a newcomer to the parquet of German jazz. Connoisseurs treasure him from numerous bands such as the Pablo Held Trio, the Niels Klein Quartett, the Florian Ross Trio, but also from constellations including Lee Konitz, Nils Wogram or Simon Nabatov. As a drummer in high demand, he is absolutely not in a hurry to treat the world to a product with his name on it, since he has already had the highest degree of creative input with all the groups and projects he played with. So he indulged in the luxury of reflecting on a story, free from any pressure, that has never been told by other musicians to date. Finally he found himself. “Some of these pieces are waypoints of my own career, that I have known for a long time, have always liked but have never played myself.” Burgwinkel emphasises. “These are pieces from my own past that have influenced me, each in a completely different way.” Seen from this panoramic view of his own personal history, timelessness arises, filling out the paradigm of unconditional spontaneity in jazz with a new light. “Source Direct” is in some regards a self-portrait in ten acts, without a hint of boasting or complacence from the drummer. It was important to him not to make a typical drummer’s album on which all stops are pulled and full of terribly complex rhythmic stunts. “Anyone who wants to hear me play drums has ample opportunity to do so on all the other records I played on,” he announces self-confidently. Here he wants to express what else he’s got in him, but didn’t get a sufficient chance to be expressed during all those other jobs. In order to set off on this extremely personal story travelling from the well-known to what’s new, he has surrounded himself foremost with musicians that are familiar to him. Pianist Pablo Held and bassist Robert Landfermann have been his playmates for many years in the Pablo Held Trio. He has been linked to the saxophonist Niels Klein, as well, by years of collaboration. “Why bother with the extravagance of the big wide world and look for big stars, when I’ve got everything I need here in Cologne,” is his motto. “I thought a long time about the line-up and came to the conclusion that the backbone of the band should consist of people to whom I have the strongest musical connections.” But the group shouldn’t be limited only to the near circle in Burgwinkel’s surroundings, it should be open to new impulses as well. Further musicians include the trumpet player Claus Stötter and saxophonist Julia Agüelles. Additionally, Tobias Hoffmann contributes special shades of colour on the guitar on two tracks. With the exception of Argüelles and Stötter, all those involved have strong ties to Cologne. It is not only in this respect that the story on “Source Direct” is a Cologne affair. Burgwinkel also links two important strands characteristic of the Cologne jazz identity, that introspective side which was introduced to the city by the pianist John Taylor, and that wild free spirit of the scene circulating around the Loft. The seven musicians must never break out in the direction of free jazz in order to nevertheless give an avant-garde impression that remains in the background. It’s a card that can be played at any time, whenever one wants. “The musicians who are participating here are extremely flexible,” according to Burgwinkel. “This was taken into consideration while recording. The arrangements were partially fixed, but we wanted to keep all our possibilities open. A lot of ideas weren’t played out, only hinted at. There’s a kind of blanket over the songs that doesn’t reveal everything simultaneously.” The full instrumentation never plays in any of the songs, instead Burgwinkel gives each song exactly what it needs. He varies his possibilities between the quartet and sextet with aptitude and sensitivity. By doing so, he is able to enter completely different levels of story-telling, making big sweeps in one track, only to remain rather detailed in the next. “Source Direct”, the title says it all: Jonas Burgwinkel doesn’t need to make any detours to get to the point. He isn’t re-inventing jazz and yet his easygoing narrative stance is refreshing and provocatively amusing in every respect. He doesn’t endeavour to be a perfect arranger who formulates every aspect of his music down to the smallest detail. Regardless of whether they are self-penned or from Billie Holiday, Weather Report, Pablo Held or Björk, his songs sparkle with curiosity about the unlimited possibilities of the world of sound poetry and last but not least about one’s own universe. And it gives Jonas Burgwinkel audible pleasure to pass this curiosity on to his listeners.